The first of several stories presenting some of the most engaged members of Vivaldi’s vibrant community. Wanna find out who’s behind the “Ayespy” avatar and what brought him to Vivaldi? Here we share the story of Bruce Hamilton. Bruce “Ayespy” Hamilton is better at figuring things out than “the average bear”. He makes his living consulting with attorneys on safety and injury matters, and works on private investigations. “I can figure out what people mean even if they have a poor grasp of English, I can figure out what evidence means in a legal case, I can figure out where to find things that other people can’t find, I can figure out how things are put together, how they come apart, and often I can figure out how to fix them”, he says. Ayespy spends the best part of his day sitting at his computer in Las Vegas, doing legal analyses and data research as well as finding out people’s and corporation’s legal identities and locations, histories, and activities. For Ayespy email is integral. He has three email clients, because he’s always watching (and testing) email clients. His primary one is the old breakaway from M2, Opera Mail. He also has Thunderbird installed as well as eM Client. He also has his billing software QuickBooks, and an array of image processing software. With the “loss” of Opera 12, Ayespy lost the most efficient and effective tool in his toolbox for doing his job. When someone on the Opera blog mentioned Vivaldi was going to incorporate things like an email client, he checked it out. 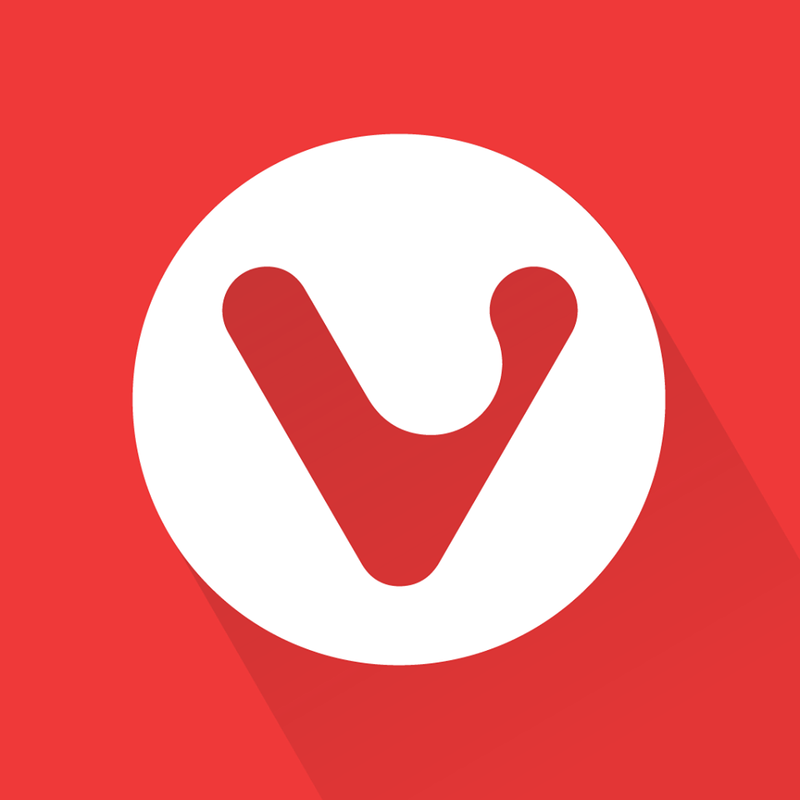 Ayespy is easily one of the most active members of the Vivaldi community. As a browser for ‘power users’, the community attracts people with technical skill and expertise. 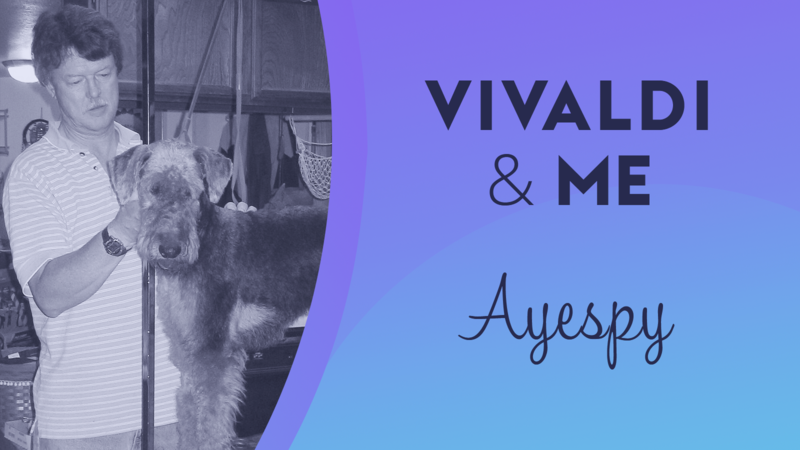 Outside of his work and Vivaldi, Ayespy is terribly interested in animals and other living things, and along with his wife is involved in Airedale terrier rescue. Ayespy says that in the most practical, down to Earth way of looking at things, man cannot subsist on a dead planet. Spending time outdoors is the best way for Ayespy to relax. He likes nothing more than to sit on a porch and look out over a meadow and enjoy the breeze. He also likes what he calls “mindless fiction”, on TV and in print.